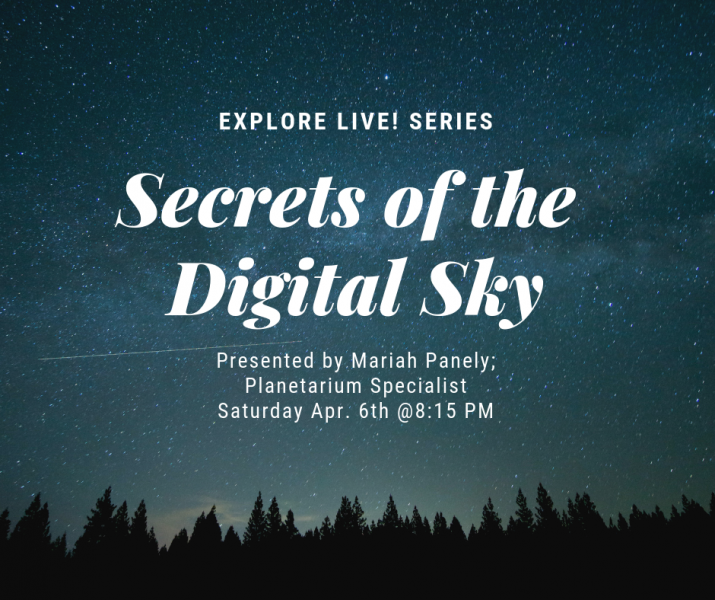 This is a live astronomy presentation with Mariah Panely, planetarium presenter. Explore the universe in a digital adventure as we find the hidden features of our digital system. With this unique program we will fly with satellites, visit different planets, sore within the galaxy and go beyond the universe. All while stopping to have some fun on the way! Making sure to see not only the visually striking, but some of the more fun things that can only be found with our digital planetarium.